The new Canon EOS-1D X Mark II shoots at 16fps and records 4K video. Find out how it performs in our full review. The new Canon EOS 1D X Mark II is an update to the 18 megapixel 1D X and the camera features an all-new 20.2 megapixel full-frame CMOS sensor with dual pixel CMOS AF, as well as a built-in analogue to digital converter for improved readout speed, better dynamic range and noise performance. The camera features internal 4K video recording and a built-in heat-sink to allow recording up to 29 minutes. 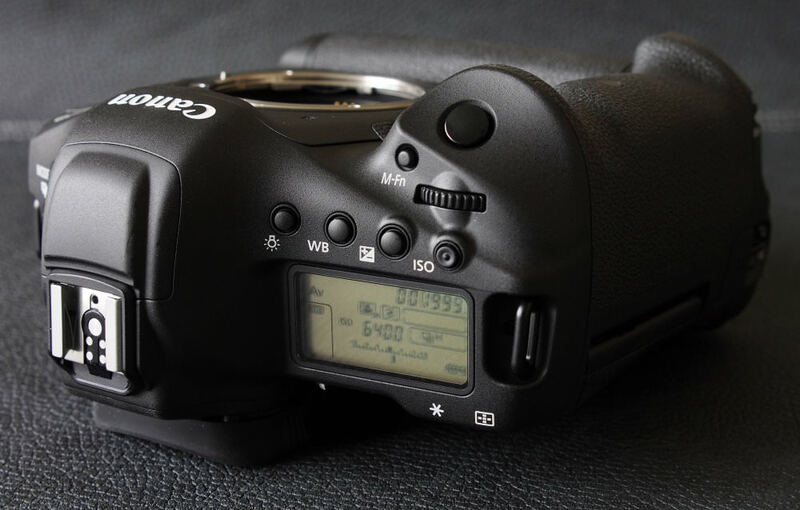 There are two memory card slots, with CompactFlash, plus high-speed CFast 2.0 to enable quicker write speeds and up to 170 raw shots at 16fps (in live view mode) or 14fps with AE/AF in normal high-speed continuous shooting mode. Canon has developed a new 20.2-megapixel sensor with dual pixel CMOS AF, for high dynamic range, and reduced noise at both high and low ISO settings. The new sensor has a built-in Analogue to Digital converter to improve readout speed, noise performance and dynamic range and this has allowed an ISO speed range from ISO50 to ISO409600 (extended). The full-frame sensor has a heat pipe to draw heat away from the sensor so that the camera can shoot 4K video at 60fps up to the 29 minute, 59-second limit. Without the built-in heat pipe, overheating of the sensor might be an issue which would mean video length would be limited. You can also record high-speed FullHD video at 120fps / 100fps. The use of CFast 2.0 means faster write speeds, with speeds up to 440MB/s compared to 150MB/s of CompactFlash. This allows up to 170 RAW shots to be taken in high speed continuous shooting mode. CFast 2.0 has recessed contacts making the card more robust and less likely to have problems with bent pins. 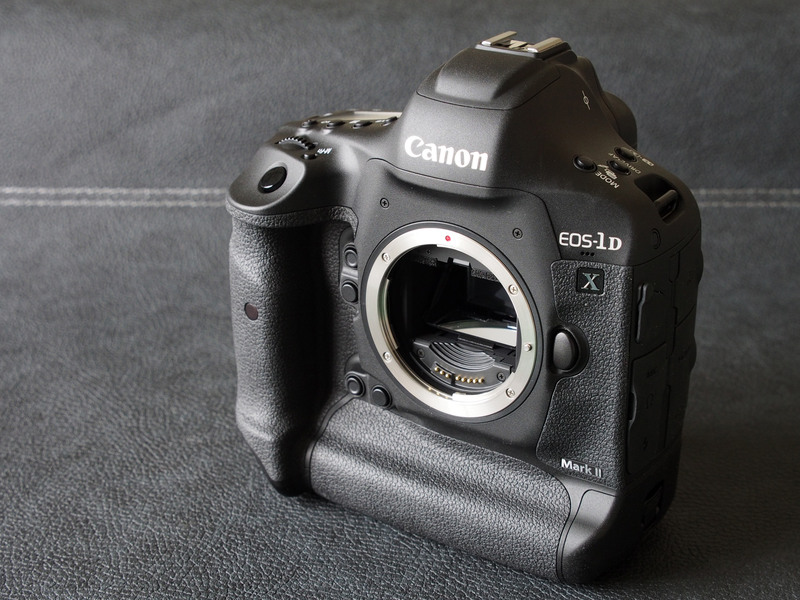 The EOS 1D X Mark II uses the same Mirror Vibration Control System as the 5DS and 5DS R in order to reduce vibration caused by the mirror moving up and down. Another feature found in the 5DS and 5DS R is the "Fine Detail" picture mode which prioritises gradations and detail capture. You can also adjust in-camera sharpening parameters such as threshold and fineness for JPEG files - meaning you should be able to get detailed and sharp JPEG images straight from the camera. 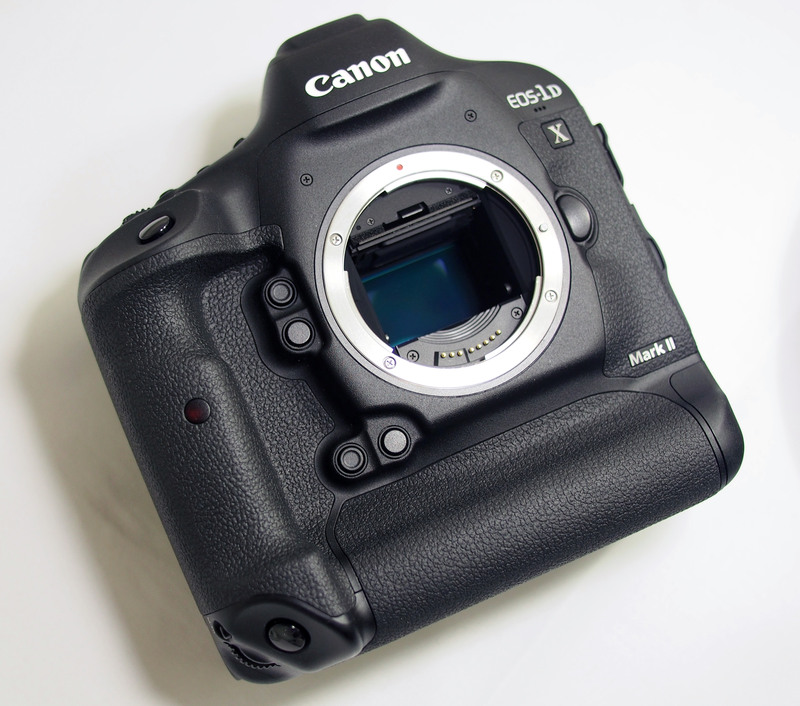 Focus is more sensitive than other Canon cameras such as the 5DS and 5DS R, able to focus down to -3EV (an improvement over -2EV), and the camera has an updated AI Servo + focus mode which uses the lens gyro sensors to predict camera movement and improve focus accuracy, for example when you are panning with the camera. New features include a Hot pixel cleaning system built into the camera. There is also updated lens correction built in, with further correction options available in playback on the camera (Digital Lens Optimizer). The camera is weather-sealed, making it suitable for a wide variety of shooting conditions. A new Canon WFT-E8 wireless file transmitter supports high-speed standard 802.11ac (5GHz band). The EOS 1D X Mark II is compatible with the existing WFT-E6 wireless adapter for the EOS-1D X, but the new WFT-E8 adapter offers faster-transmitting speeds. Using either compatible Canon WFT accessory enables remote operation using the Canon Camera Connect App (available for iOS and Android). 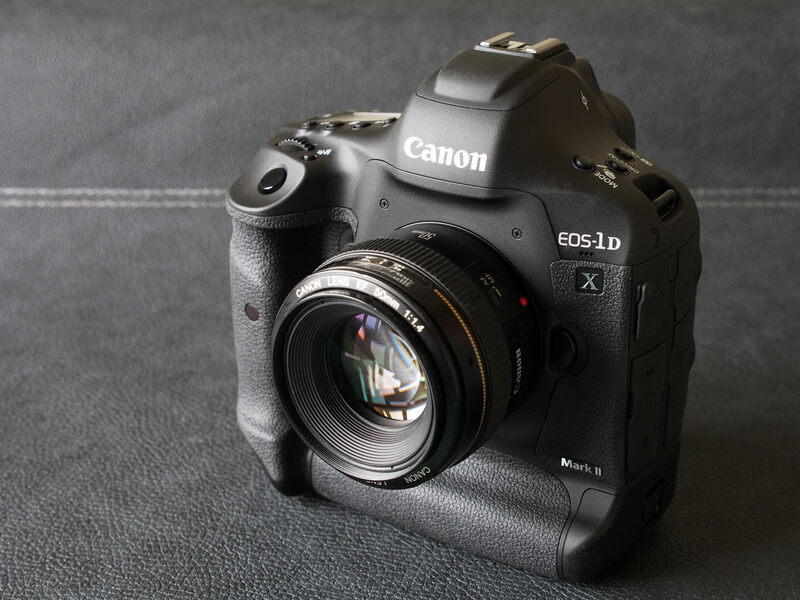 We've also compared the EOS-1D X Mark II with the original EOS-1D X here. The Canon EOS-1D X Mark II and Leica SL both recording DCI CINE resolution 4K video at 4096x2160, compared to UHD resolution 4K video at 3840x2160 on the Nikon D5. The video length is also limited on the Nikon D5, whereas the EOS-1D X Mark II is limited to 29 minutes and 59 seconds. The Canon EOS 1D X Mark II has improved handling with a redesigned handgrip, as well as a deeper portrait grip. The buttons around the lens have been redesigned as well to make them easier to use when wearing gloves. However, the controls and buttons will be familiar to anyone who has used the previous version of this camera, with almost all of the buttons and controls matching. 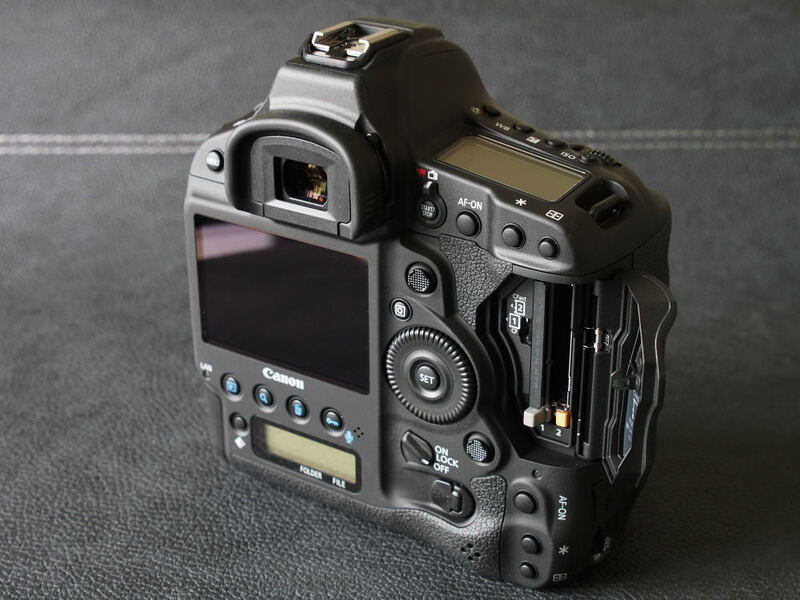 One noticeable change can be seen in the live view switch, which now matches other Canon EOS cameras, letting you switch between photo and video modes. The joysticks have also been improved, with a slightly larger area to grip on to. As Canon's top of the range Digital SLR, the camera feels extremely well built, and very solid. If you've used other full-frame cameras, such as the Canon EOS 6D, then the size of the 1D X Mark II may come as a bit of a shock to you as it's definitely one of the larger DSLRs available. The camera weighs the same as the 1D X at 1340g but is slightly larger at 158 x 167.6 x 82.6mm. GPS is built in and this now means there is a slightly raised bump on top of the camera. 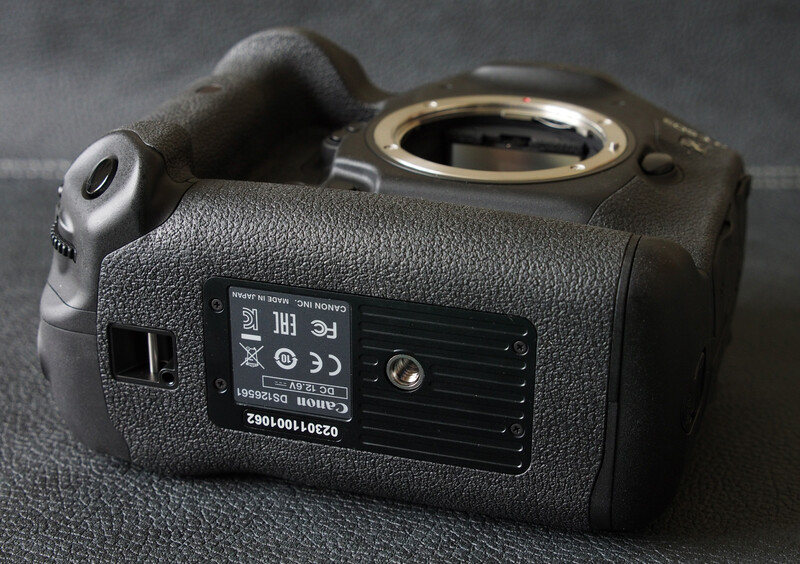 There is now USB3.0 built in, and the remote control socket has been moved to the other side of the camera to make room for the updated ports on the left-hand side of the camera. With a touch-screen on the back of the camera, you might have expected to be able to changes settings and go through the menus using the touch-screen however, the touch-screen is only active in live view photo mode, or in the video mode. The optical viewfinder is large and clear and gives a good view of the scene, as well as useful shooting information, without the need to take the camera away from your eye. There are 61 focus points, with 41 cross-type and 5 dual cross-type AF points. You can select any of the 61 focus points individually, and these cover a fairly wide area of the centre of the frame. If you switch to live view shooting you can select from any area of the screen, and the AF tracking will cover the whole frame. Whilst the camera has built-in help that will give you guidance as to what each option is for, close studying of the Canon manual is recommended so that you are familiar with the multitude of focusing options. The optical viewfinder is large and bright and can be customised to show a number of useful things, including a dual-axis electronic level and shooting settings. The screen looks very good with a high resolution and very good viewing angles. The camera menus have a vast range of options and are neatly arranged into colour coded sections making it easier to find the settings you want to change. You can also customise the "MyMenu" menus with your favourite settings and these can be renamed so that you can setup certain menus for specific shooting scenarios. Unfortunately, you can't use the touchscreen to scroll through the menu options. The Canon EOS 1D X Mark II can shoot high speed, FullHD video at 120 or 100fps depending on whether you're recording NTSC or PAL video, as well as shooting 4K video at 60 or 50fps. From the 4K video, you can extract 8.8 megapixel JPEG images, and this is possible on the camera. The EOS 1D X Mark II can shoot at 16fps in Live View mode, with exposure and focus locked on the first shot and the mirror locked up. In normal shooting mode, you can shoot at 14fps with auto exposure and continuous focus active (shown above), and videos showing the camera shooting at different speeds can be found on the ePHOTOzine YouTube channel. 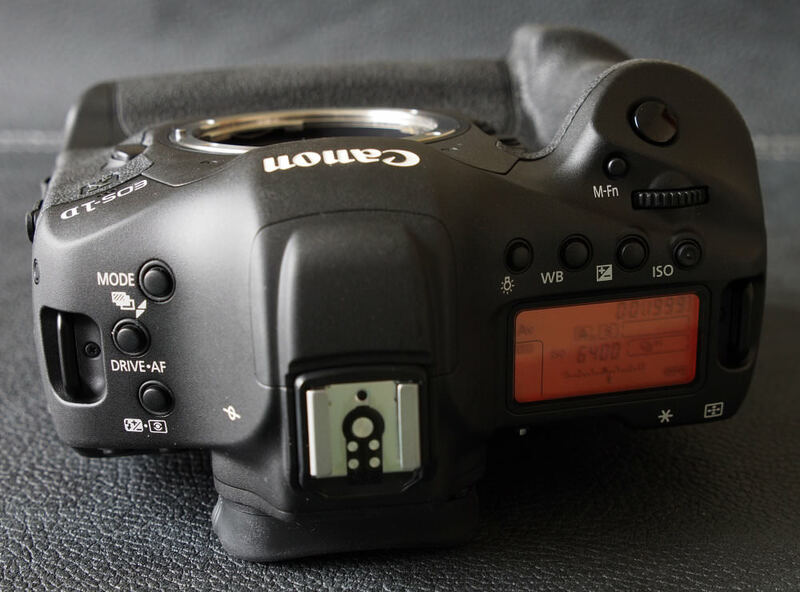 The Canon EOS 1D X Mark II features dual card slots, one is CompactFlash, and the other is CFast 2.0, and to take advantage of 4K video recording a CFast 2.0 memory card is recommended. These are currently around £82 for a 32GB Lexar CFast 2.0 card, compared to around £42 for a 32GB Lexar CompactFlash card. 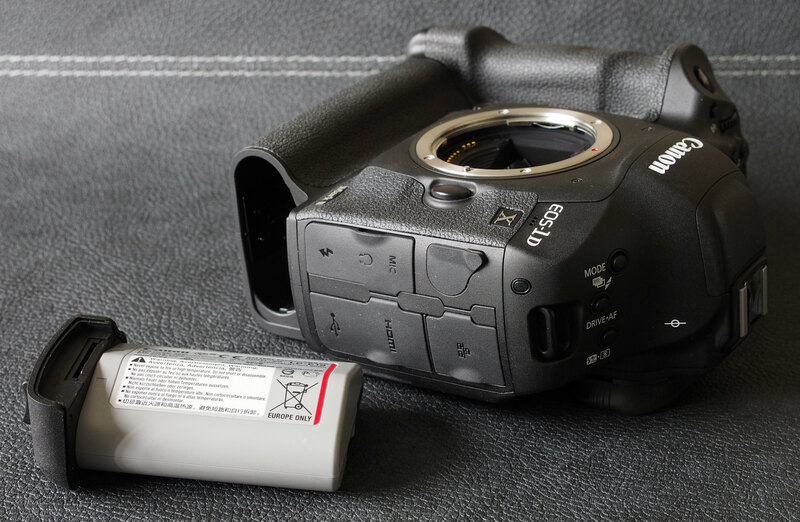 The camera uses a rechargeable Li-ion battery (LP-E19) which gives 1210 shots according to CIPA test standards, which is an improvement over the 1120 shots of the 1D X. Battery life - Battery life is rated at 1120 shots according to Canon / CIPA test results, which is very good, although we able to shoot far more than this and the number of shots possible will depend on your shooting style and drive mode. WOW:P King of Kings! 4K in 60 fps & full hd in 120fps !! WOW King of Kings! 4K in 60 fps & full hd in 120fps !! I am impressed with 4K at 60fps not sure if it has S-Gamut3.Cine/S-Log3, though like the A7Smk2 ? Hi Alan, this isn't mentioned in Canon's specifications, and unless it's added at a later date, then I assume it's not available. Canon have done well to overcome the heat produced by 4K especially at 60FPS, Sony manage this at 25fps, but to disperse the heat in a very small body is an enormous challenge. The beauty of 60 FPS it enables you to film slow motion. Most still photo cameras would have to switch to HD, which means the whole sequence is not 4K. mirror less in my opinion produces good results except for sports and wildlife which seems to be preferred by majority of DSLR users because of tracking and focus speeds. A 1DX mk2 would seem to be an overkill for say a wedding shoot. .
Canon have done well to overcome the heat produced by 4K especially at 60FPS, Sony manage this at 25fps, but to disperse the heat in a very small body is an enormous challenge. The beauty of 60 FPS it enables you to film slow motion. Most still photo cameras would have to switch to HD, which means the whole sequence is not 4K. mirror less in my opinion produces good results except for sports and wildlife which seems to be preferred by majority of DSLR users because of tracking and focus speeds. A 1DX mk2 would seem to be an overkill for say a wedding shoot. . The original 1DX was plagued by oil and dust complaints. Any word, yet, if these have surfaced on the new model? This sentence seems to contain a contradiction: [b] "At ISO102400 noise gets quite ugly on the Canon[/b], but colour saturation remains quite good, whereas it suffers on the D5, particularly the darker colours. [b] ISO102400 may still be usable on the Canon but above this noise becomes quite ugly" [/b] The way it now reads, the review is saying that either the noise is "quite ugly" [i]at[/i] ISO 102400, or "quite ugly" [i]above[/i] ISO 102400, implying that ISO 102400 is OK. Which is it? This sentence seems to contain a contradiction: "At ISO102400 noise gets quite ugly on the Canon, but colour saturation remains quite good, whereas it suffers on the D5, particularly the darker colours. ISO102400 may still be usable on the Canon but above this noise becomes quite ugly"
The way it now reads, the review is saying that either the noise is "quite ugly" at ISO 102400, or "quite ugly" above ISO 102400, implying that ISO 102400 is OK. Which is it? Thanks, Josh. I apologize for being so picky, especially about something as subjective as ISO ugliness, or the lack thereof. Count me as yet another victim of the "[i]our[/i] ISO usability is much higher than [i]your[/i] ISO usability" wars. Thanks, Josh. I apologize for being so picky, especially about something as subjective as ISO ugliness, or the lack thereof. Count me as yet another victim of the "our ISO usability is much higher than your ISO usability" wars. Hi Chuckles, no worries, thanks for the feedback, regardless, the ISO performance is impressive! !